Pots O’ Plenty Slots - 5 reel, 50 pay line slot game! 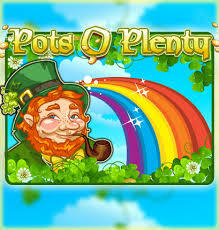 If you fancy the luck of the Irish on your side then we at Mobile Bingo Bonuses have the game for you, called Pots O’ Plenty. Probability one of the top mobile gaming software designers, who are known for their high quality games bring you this fun and feisty HD game with lots of Irish icons. What is Pots O’ Plenty? This 5 reel, 50 pay line slot game with symbols including the happy Leprechauns, wishing wells, pints of stout, rainbows and of course pots of gold. With an RTP (return to player) of 91.5% you’ve got a greater than average chance of winning that pot of gold, which sounds good to us! 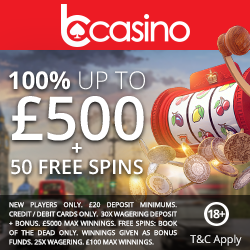 There’s a minimum bet of £2 per line and a maximum of £25 for each spin, plus bonus games being awarded when 3 or more scattered Leprechaun symbols appear. As you can imagine the wild symbol in Pots O’ Plenty is a pot of gold and it can be used to substitute all symbols except the Leprechaun. This game has an auto spin feature which lets you select up to 25 times without having to hit the button. Plus with a maximum pay out of £3,000 when you see a lass with a glass or (bar maid as she’s better known) on each reel in one row, you’ll really feel an Irish jig coming on! So if you’re ready to play this amazing game you’ll want to know where you can find it, well that’s an easy one, on a great gaming site called Pots of Luck. 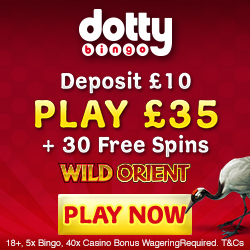 To register and claim your £5.00 to play Pots O’ Plenty simply visit Pots of Luck and we’ll take you through to their page.